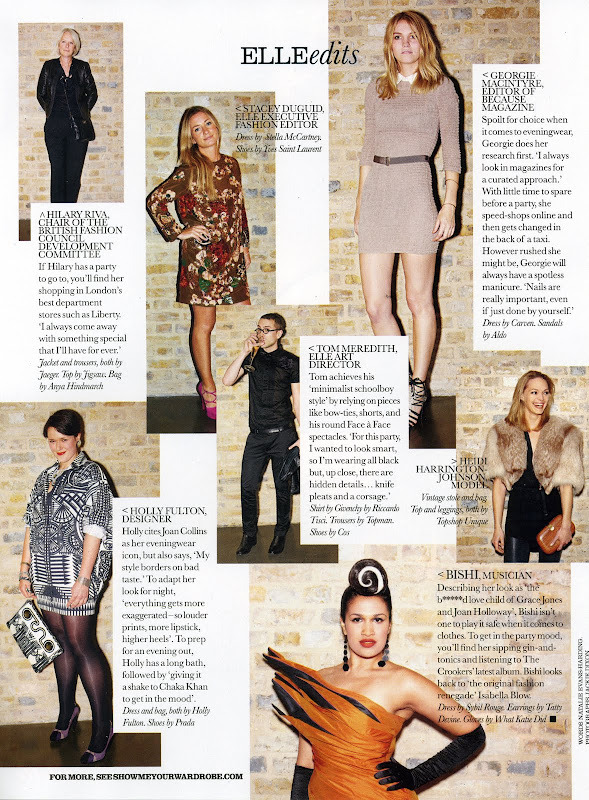 SHOW ME YOUR WARDROBE.COM: Show Me Your Wardrobe PARTY SPECIAL in December's ELLE magazine - enjoy! Show Me Your Wardrobe PARTY SPECIAL in December's ELLE magazine - enjoy! A little while ago I did a post on ELLE's 25th birthday party at The Whitechapel Gallery as I'd been snapped for a mini feature on ELLEUK.com, but whilst at the party I also had a ball taking pictures of everyone else in their fabulous outfits for a Show Me Your Wardrobe Party Special. The December issue is finally out and I am really happy to be able to share these fun pages with you. 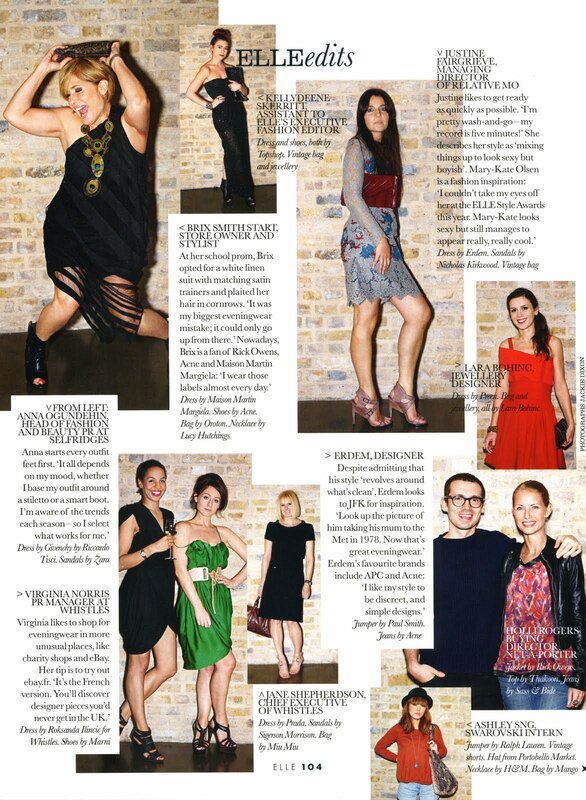 PS I especially love the photo of Lorraine clutching her dress! amazing!!! great idea and i love the pics. everyone's looking really good!